When Max asked me what I wanted to do for my 30th birthday, I said I wanted to spend it snorkeling on a tropical island. I was half joking, as this was a wild "if I could do anything in the world I'd want to do this" wish. My incredible husband, however, started researching top snorkeling destinations! 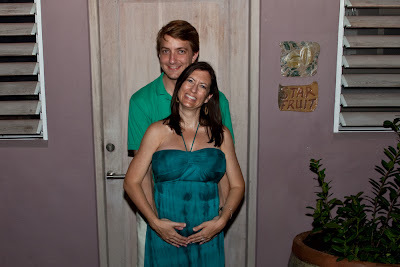 We decided upon a Babymoon in the Caribbean and I came across a tiny boutique hotel called Frenchmans, located on the British Virgin Island of Tortola. It had great reviews on Tripadvisor and Frommers, so we decided to give it a go and explore someplace new! 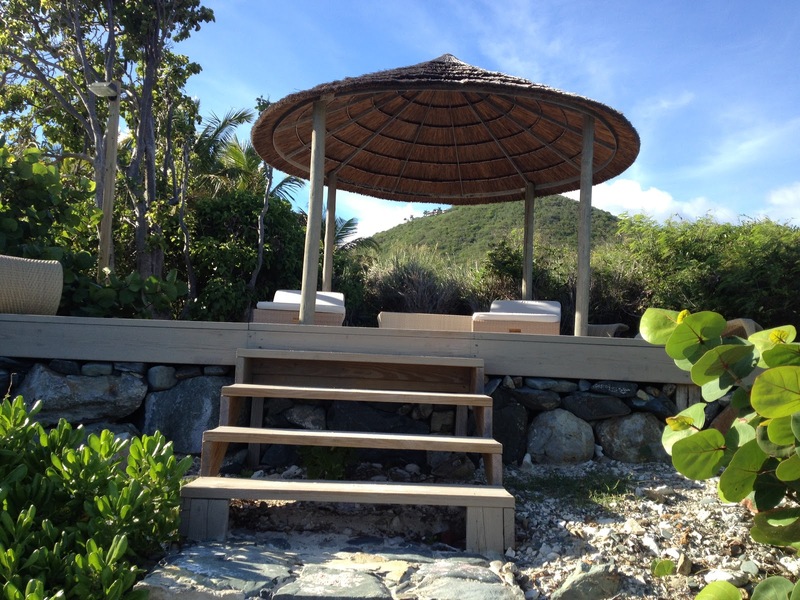 Frenchmans is located on Frenchmans Cay at the far end of Tortola. 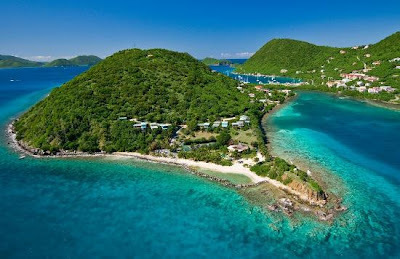 The entire resort consists of just nine villas and a restaurant with a private beach (you can spot the nine villas in the arial view below). We weren't sure what to expect when we got there (as online reviews can sometimes be off) but we couldn't have been happier with our choice! 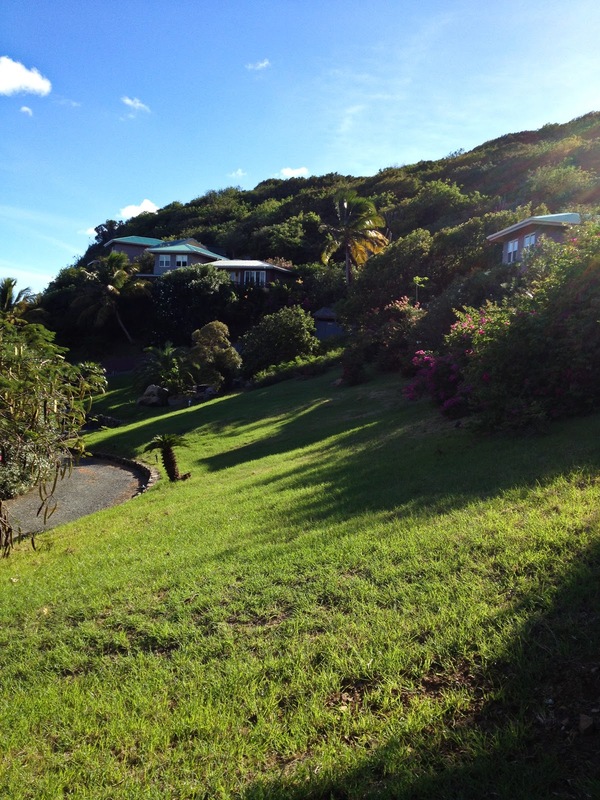 Here are the villas all nestled in their tropical foliage glory. The photo does not do the place justice - it was gorgeous! It had a full kitchen and sitting area downstairs, and a bed and bath upstairs (bigger than my old California bachelorette cottage!). 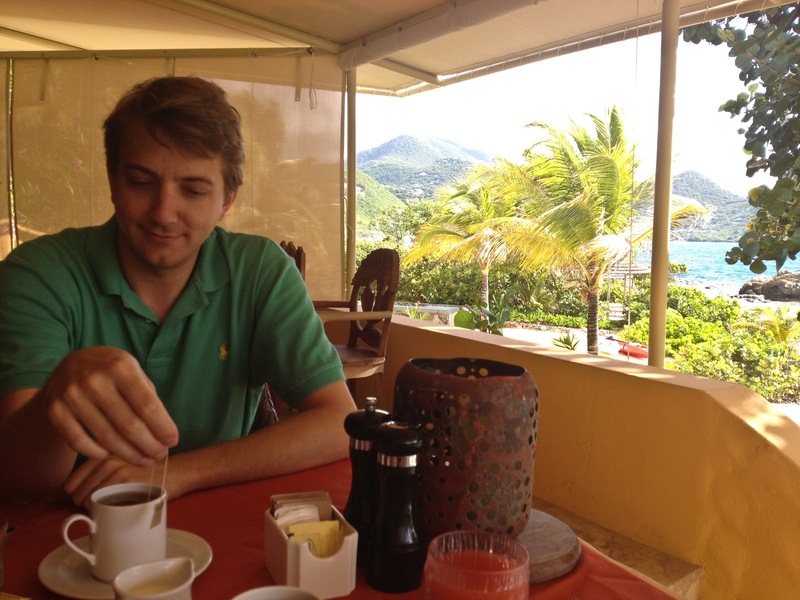 Frenchmans offered a complimentary breakfast in the outdoor restaurant each morning. It was an incredible way to start each day! This was also the only time we saw any of the other guests. 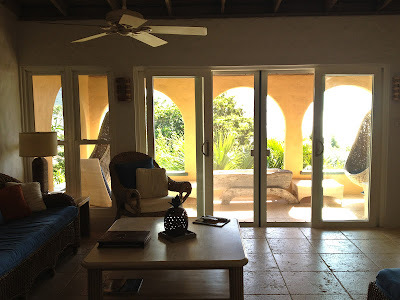 When we arrived, just one of the other villas was occupied (with an attorney from the U.K. who was off on business the whole time) so it literally felt like we had the entire resort to ourselves. It was amazing! By the time we left, two other couples had checked in, but it still felt like it was just me and Max all alone : ) I loved it! Frenchmans had a small pier that we used to enter the water for snorkeling. We found it to be the best snorkeling on the island! 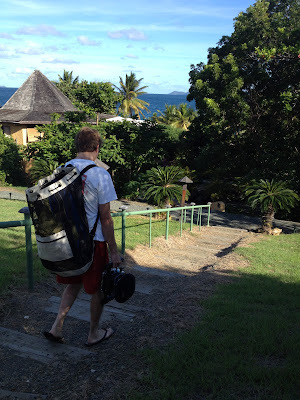 The first day we were out we saw tons of sea life including Lion Fish, Sea Stars and Parrot Fish. We also spotted Jelly Fish, which freaked me out a bit! They had very short tentacles instead of long ones, and were a purple iridescent color. I was stung last year in Cayman by a tiny jelly the size of a dime, and I remember my arm hurt for some hours afterward. I did not want to see what these grapefruit-sized jellies could do! 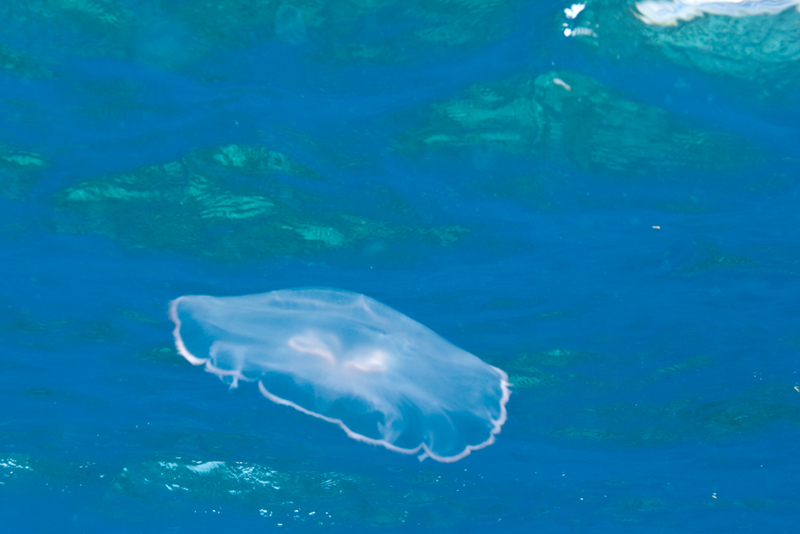 We later found out (from our nice Frenchmans staff) that what we saw were Moon Jellies, and they were semi-harmless and had just a mild sting. In fact, by the end of the trip Max was picking them up and taking them out of the water for a better view! I had always thought that Jelly Fish were hollow, however when we felt them we realized their bodies are actually firm and solid. They reminded me of those gel shoe inserts. We always had the beach area to ourselves! I had to laugh one day as Max was off climbing on the rocks (being such the boy) and I was at the shore looking for seashells (totally being a girl!). While we loved Frenchmans, we realized that it (and Tortola) isn't for everyone. Frenchmans was pretty isolated - there was a small marina with a market, shops and a restaurant that was a five minute walk away, and that was it. 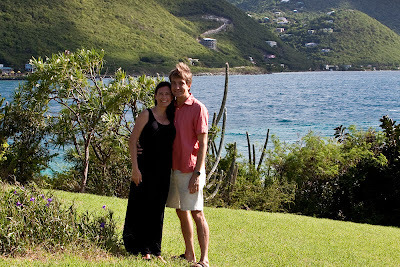 We found Tortola as an island also to be pretty remote. The resort itself was not a hopping place either - it's definitely the type of place where you go to escape everything and just enjoy the company you're with (making it the perfect Babymoon destination for us!). If you're looking for large resort type amenities, this also isn't the place. The pool was pretty small (which again for us was fine because we never had to share it and we only used it for rinsing off after the ocean anyway), and there was no room service. In fact, being on "island time" the hotel restaurant was closed for dinner twice a week and didn't serve lunch (this also wasn't a problem for us as we took advantage of our villa's kitchen a couple times and cooked for ourselves, and had a car to drive elsewhere to meals). The hotel's front desk wasn't staffed through the night, something that's a given at larger hotels. Upon our 10pm arrival on the island, we were picked up at the airport by a taxi driver who works for the resort. We had a 45 minute drive across Tortola, then he led us through the windy path that to our villa, collected the key from the drop box and let us in. There was a welcome letter from the resort with in-case-of-emergency numbers, but we didn't actually meet any hotel staff until the next morning. So, if you're in search of a loud and crazy place with tons of entertainment, Frenchmans is not it. 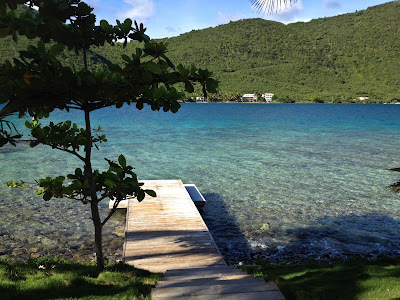 If you're like us, however, and in search of a gorgeous, totally private and isolated destination, your own villa, and great snorkeling, Frenchmans is the place for you!